Tara and Nolan had some fun and the question now is was it just fun, or will there be consequences. They need to begin making money for the house, but Nolan doesn’t have a job. 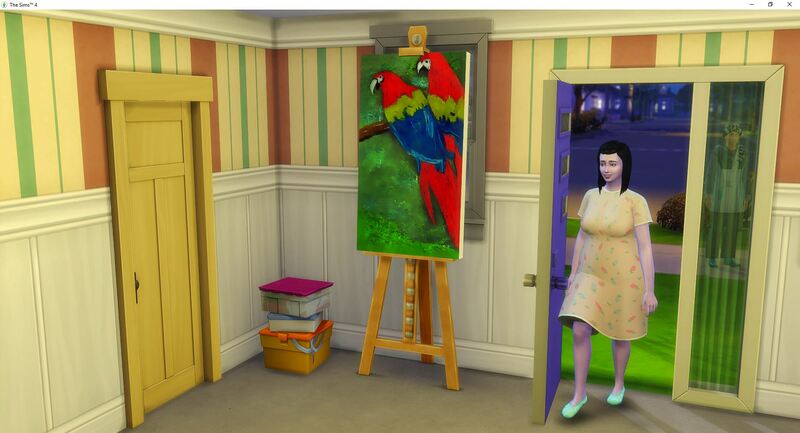 Tara may buy an easel and leave it sitting out to see if Nolan will autonomously paint for her to sell. 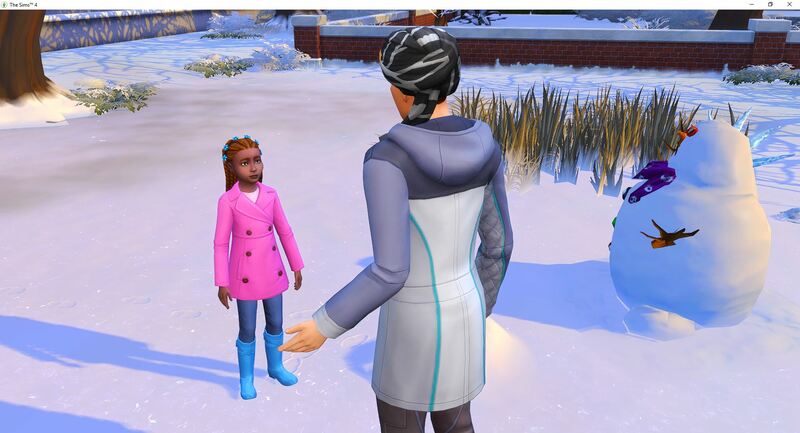 She can’t begin the aspiration progress until they have a toddler, but then the race will be on to finish the house in five weeks, so the money will need to be incoming. Of course, the first challenge is making sure that Nolan survives since he is hysterical. 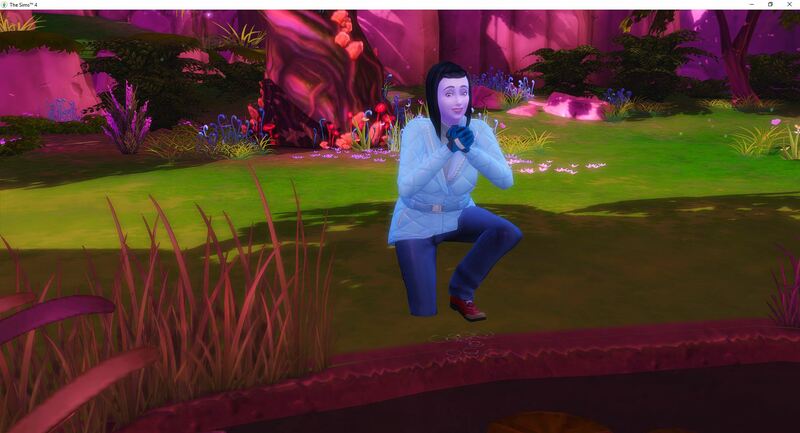 He is one happy sim, what with getting engaged and married, having his first woohoo and woohooing in the wild, having his first kiss, seeing his first snow, and enjoying the pizza they ate. 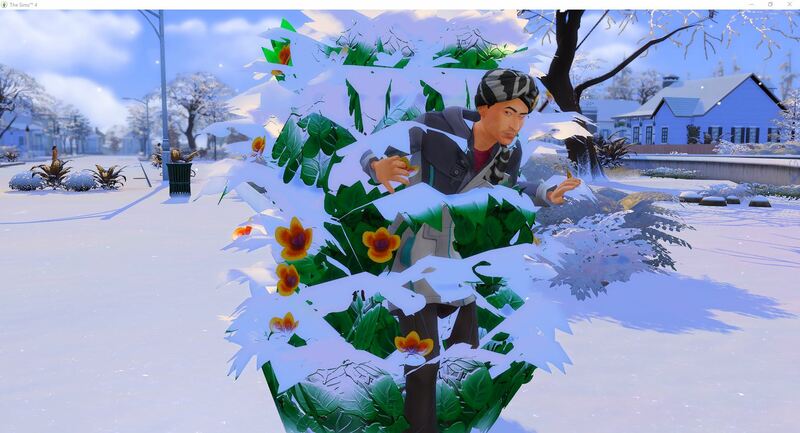 And he is a goofball, so that random playful moodlet is being boosted by all of the happy moodlets. Tara does what she can to distract Nolan and finally calms him down enough that he will survive the day and the night. Tara heads off to work in desperate need of a shower. She has a shower, she just didn’t think to use it before work. Thankfully, hygiene issues do not interfere with Tara’s ability to bring home a promotion. 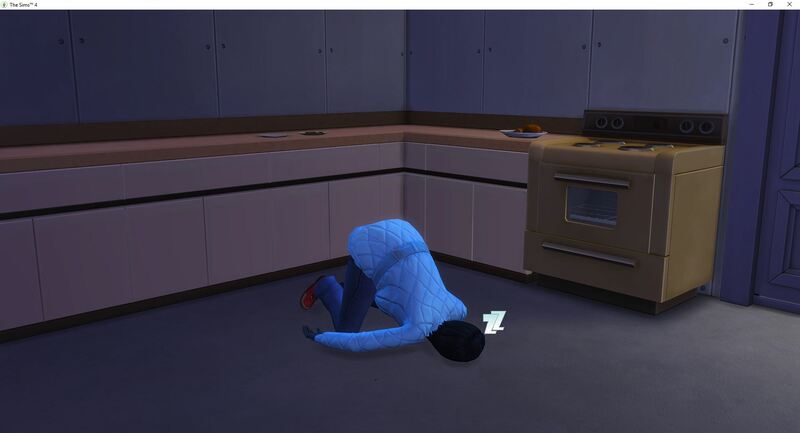 Being a drifter, or living in a drifter’s house, at the beginning of the challenge, is rough. Especially in the winter. 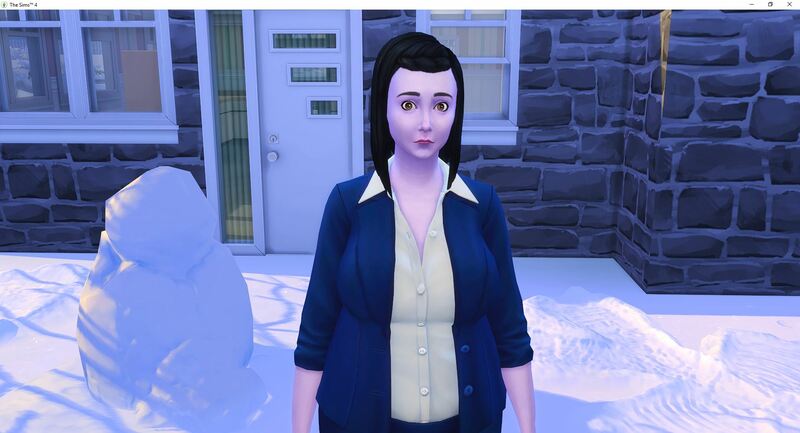 Tara takes advantage of living next to the Sylvan Glade and gets out of the cold and snow for a little while. She catches a lot of frogs and does some fishing until it is time to go to work. She doesn’t get a promotion today because she lacks charisma. 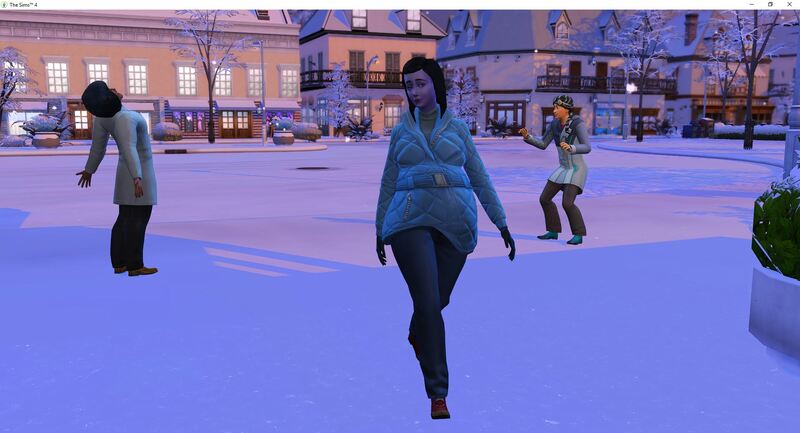 Then it is Winterfest. They are able to get the basic shell of the house set up and finally they have shelter from the weather. 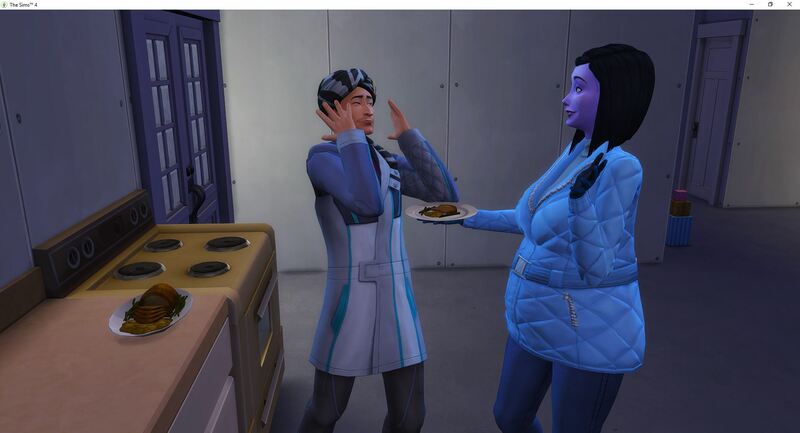 They have to do some juggling in order to get a stove, counter, and fridge so that Tara can make a grand feast for the holiday. She passes out while making it, but eventually it is finished. 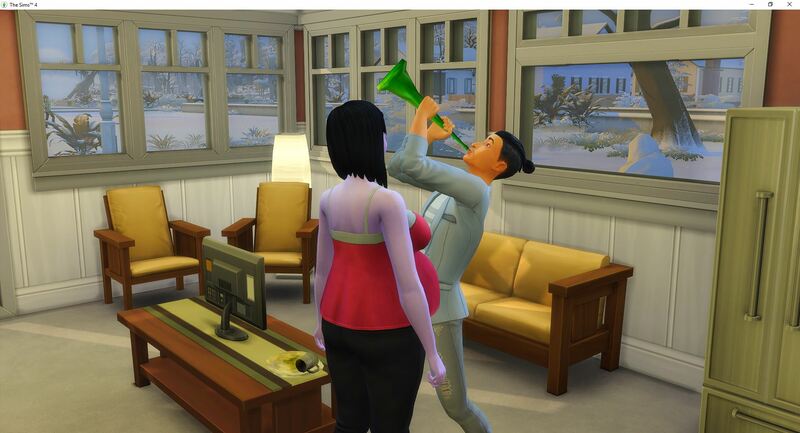 While they eat their feast and celebrate the holiday, Tara shares the exciting news that she is pregnant. The counter has begun since all goals will have to be completed by the time the incoming baby becomes a young adult. They need to get the house up to §40,000 and Tara will need to begin working on Outdoor Enthusiast once the new baby becomes a toddler. 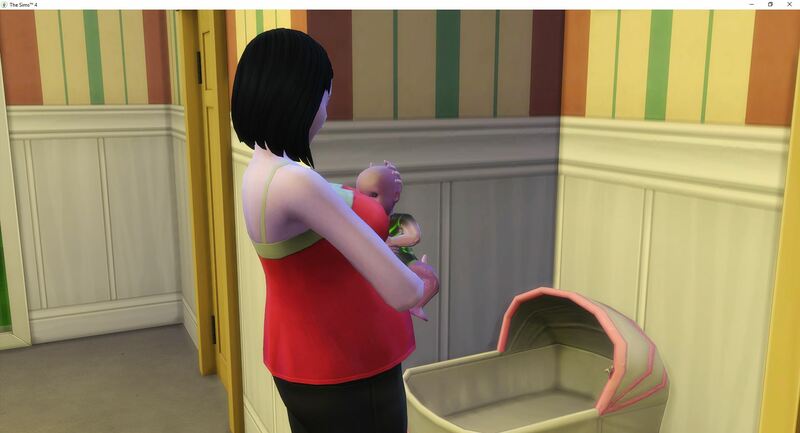 If the timing is right, the baby will be born on Saturday and will become a toddler on Monday, which will be the second day of Spring. After finishing their meal, Tara passes out again before she can put the food away. 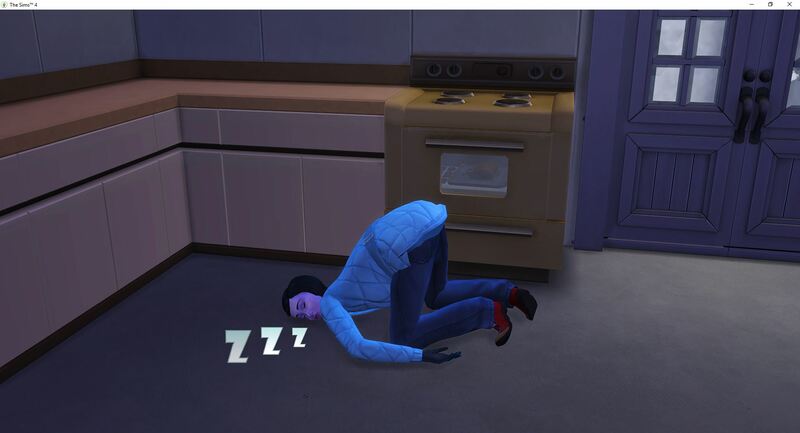 Eventually, she cleans up and gets to bed. 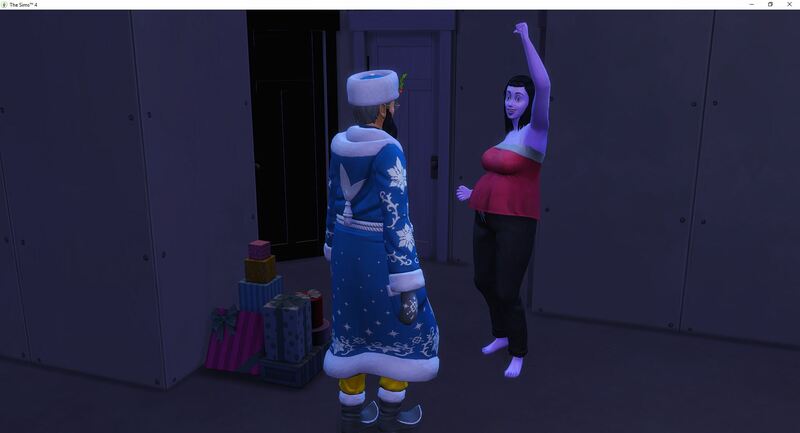 Tara sleeps until Father Winter shows, and then she gets up to ask for presents – because she needs all the free things. She keeps getting piles of poop from the pile of presents. 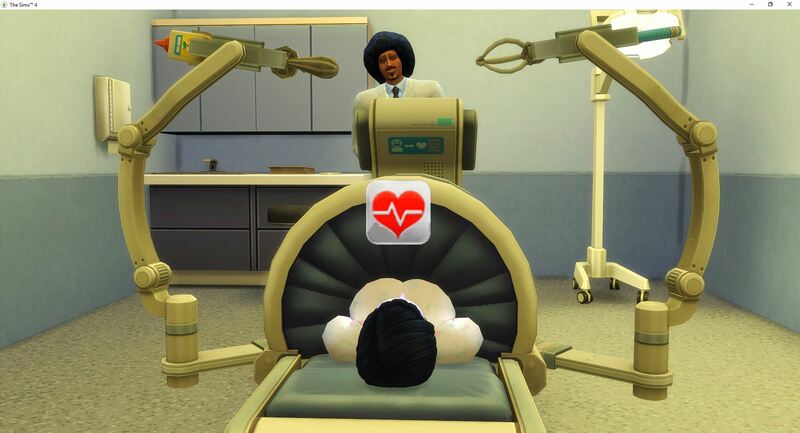 She is excited when he gives her a motion gaming mat, which she promptly sells for the money. That will help out a lot with building the house. 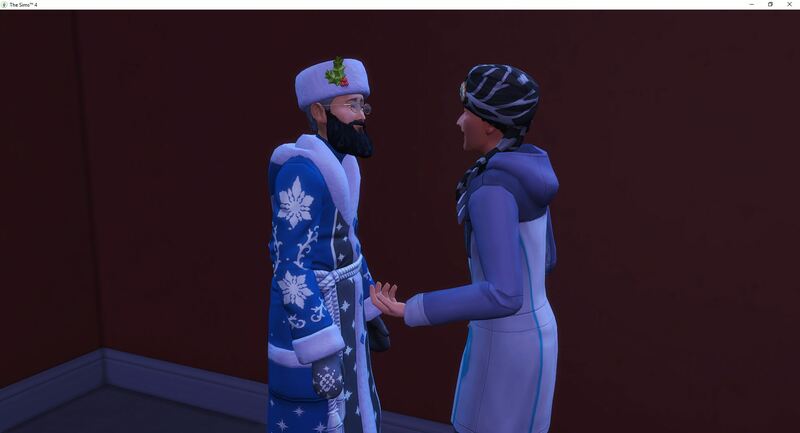 Nolan chats with Father Winter and I have hopes that he might ask for a present on his own, but he doesn’t. As you might notice, the gaming mat allowed them to get the walls finished. After dealing with the snow inside the house, and then spending way too long trying to fix the ceiling and the roof – finally – it is fixed. The basic structure of the house is complete and all of the wall are done. The floors still need to be covered, I just noticed. While Tara is at work, Nolan doesn’t have anything to do yet. 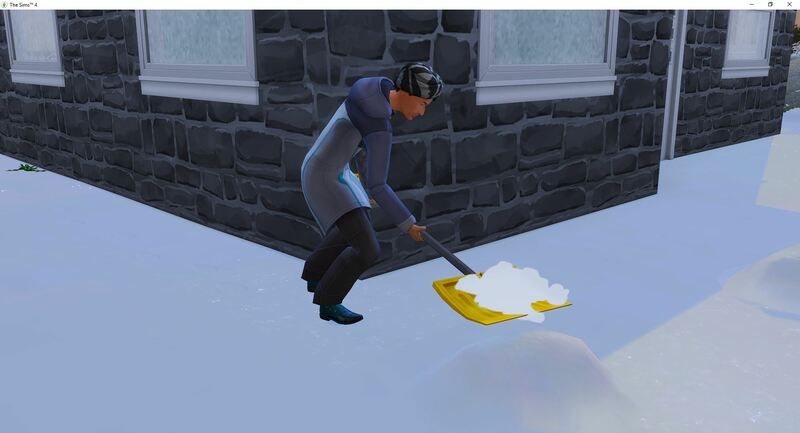 So he shovels snow and makes snow angels and builds snow pals. Tara would have earned a promotion but she still didn’t have the charisma. She remedies that when she gets home so that she will be ready for a promotion the next time she goes to work. Juliana has her late in life baby boy – Dashawn. Tara has a brother and maybe one day she will meet him. Tara earns that promotion but is struggling to stay awake. She hasn’t had a chance to sleep yet, and they are still sleeping on the air mattress. 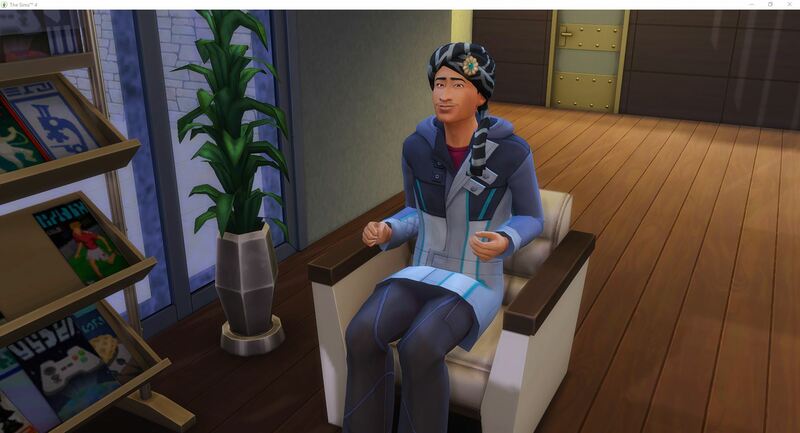 Soon, hopefully, they will be able to begin upgrading the furniture. 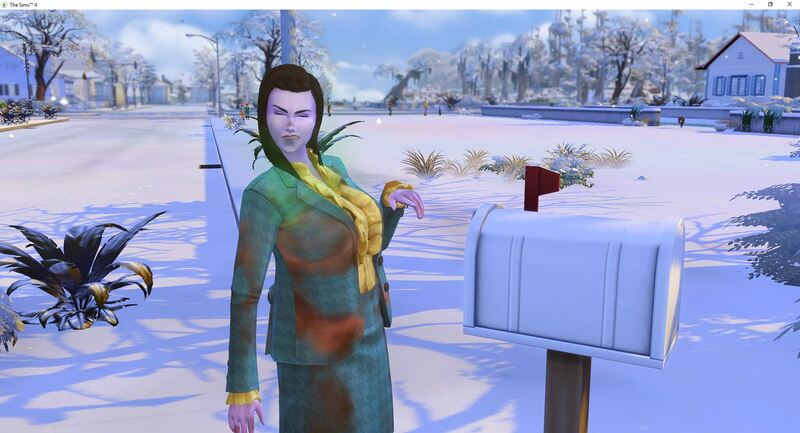 Winter is the season of holidays. It seems like it has been one holiday after another. 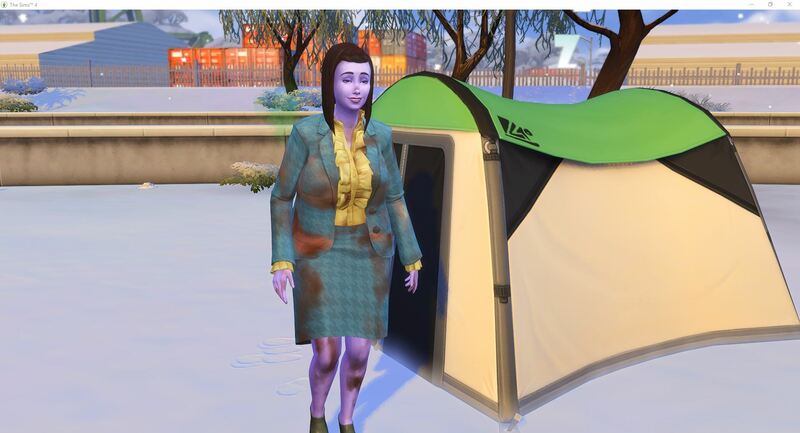 After Winterfest, came TV season premiere, which sucked because they couldn’t afford a TV. Now it is New Year’s Eve. 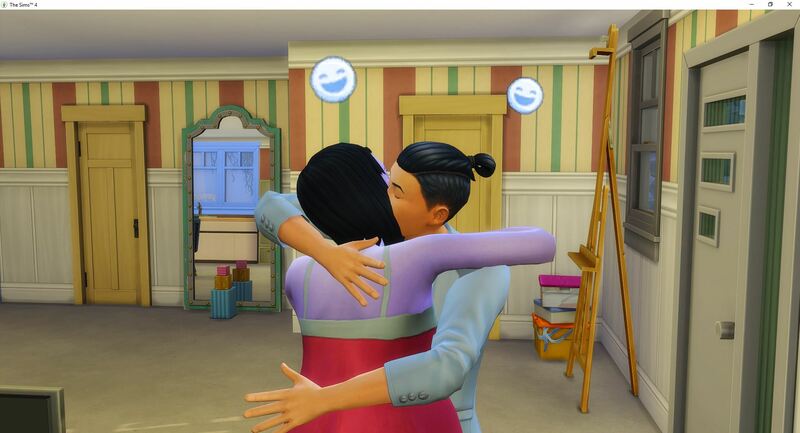 Tara and Nolan become best friends, which seems like a fitting way to celebrate the new year. While Tara sleeps (they finally upgraded the bed a little), Nolan runs around the neighborhood. 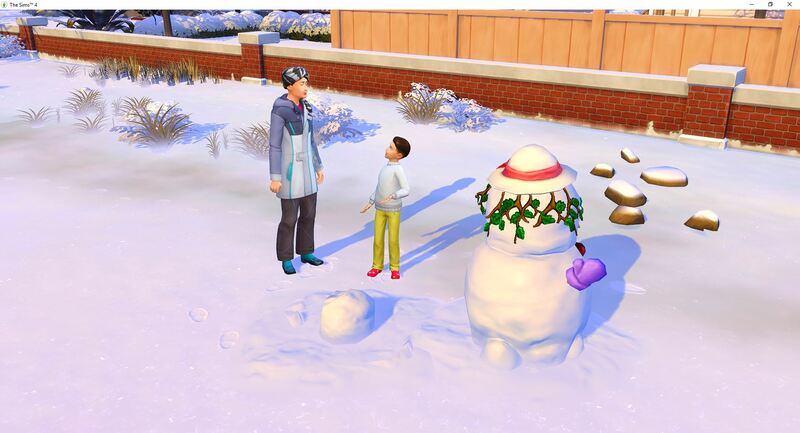 He is making snowpals and chatting with the kids that are wandering through the area. 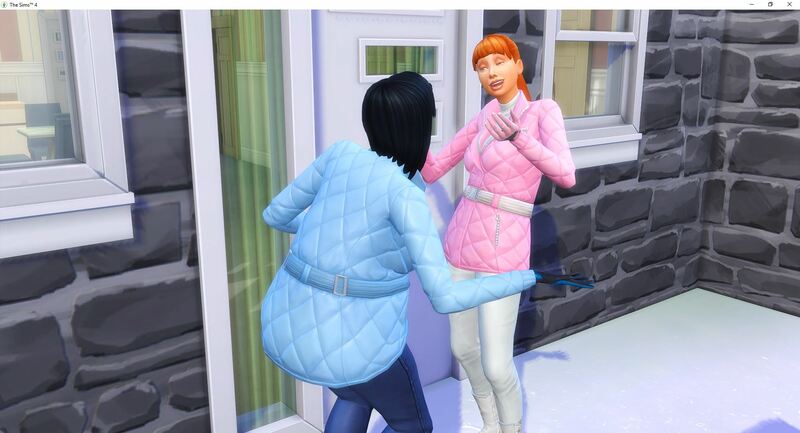 I would call them neighbors, but there are no neighbors. I finally realized why Tara keeps getting crap from presents. Nolan keeps swapping out the presents with prank presents, which I saw but didn’t get a picture. This time instead of crap she got the future cube, which at least is worth something to sell. 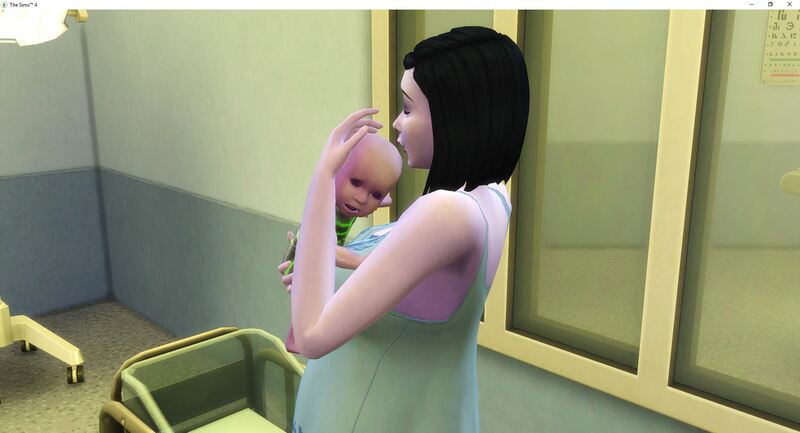 She needs to save up the money for the trip to Granite Falls which she will need to make as soon as the baby is a toddler. Along with all of the toddler crap that she will need to buy at the same time. Money, money, money. Juliana comes by for a visit – I have no clue what they were talking about. Nolan is still making the rounds. 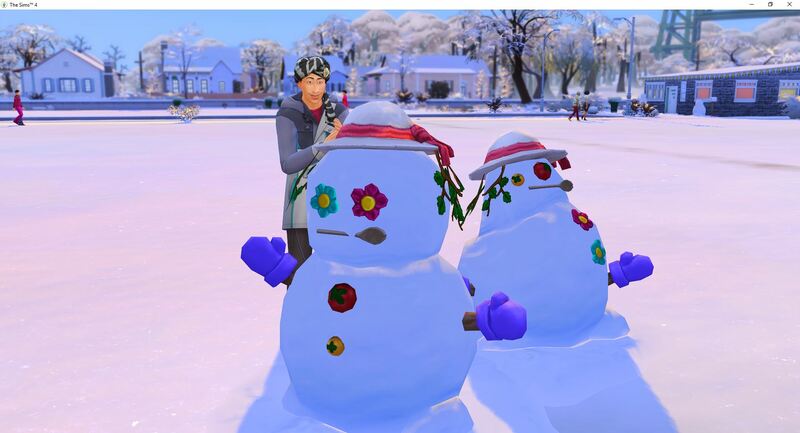 At least he is making pretty snowpals. But I am not sure if he is ever going to come home. 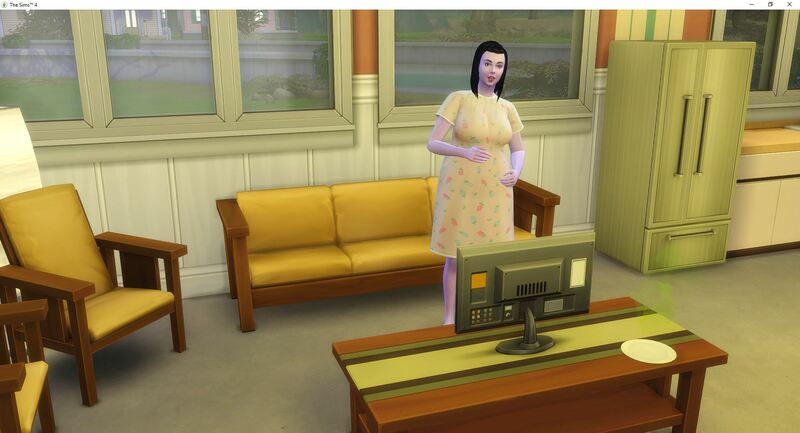 Tara is in labor, which means they are heading to the hospital for the birth. And she is taking Nolan, so that should get him to come back home afterwards. 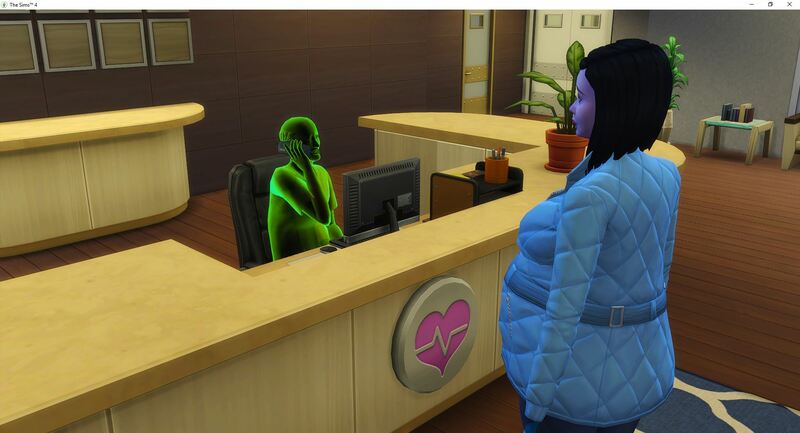 There is that feeling when you check in at the hospital and the person at the front desk is a ghost. Makes you wonder. 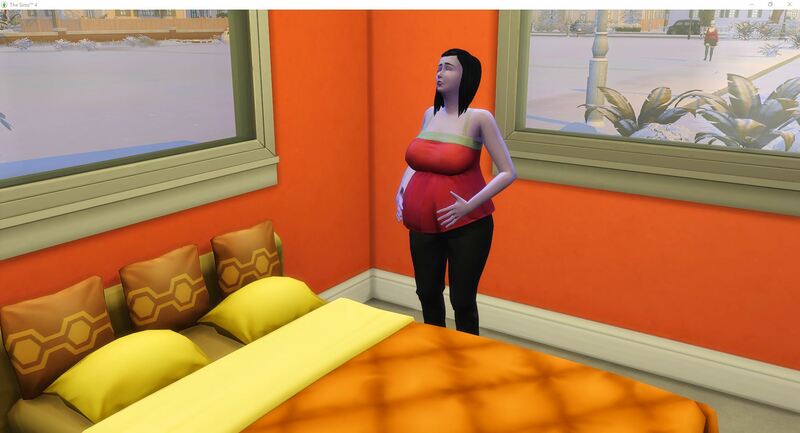 It is time for the heir to make an appearance. Penny Long will be the next drifter. Nolan almost made it into the delivery room – he made it to the doors, and then went back out to the waiting room and waited. 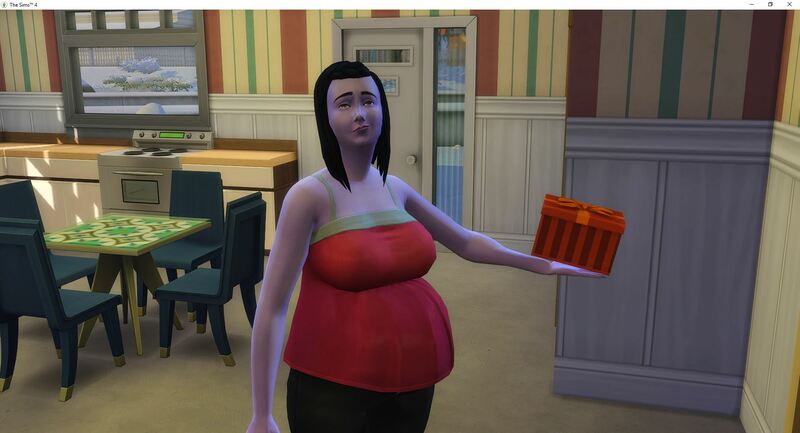 Coming home, Tara finds that Juliana left them a painting as a house warming gift. 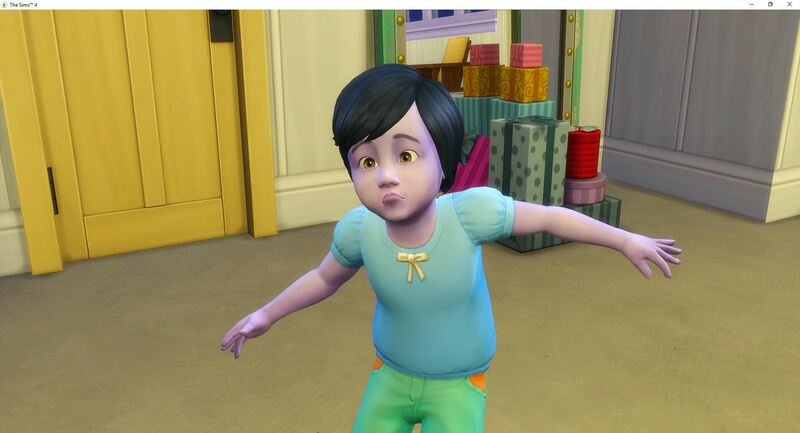 Which was sold for the cash – they are still saving for the trip to Granite Falls once Penny becomes a toddler. Tara couldn’t get Nolan to join her watching the countdown to midnight so she watched alone. 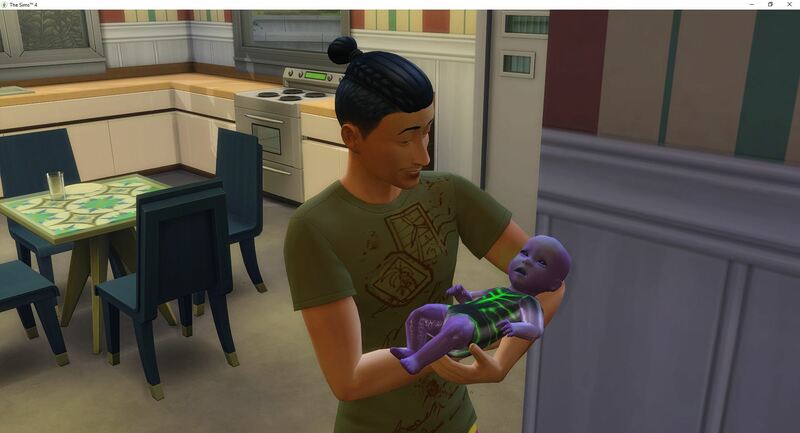 He slept through midnight and Penny cried through midnight. Once the TV finished shooting off firecrackers, Tara changed Penny’s diaper and she also went to bed. With spring thawing out the river, Tara heads out to spend the day fishing while they wait for Penny to become a toddler. 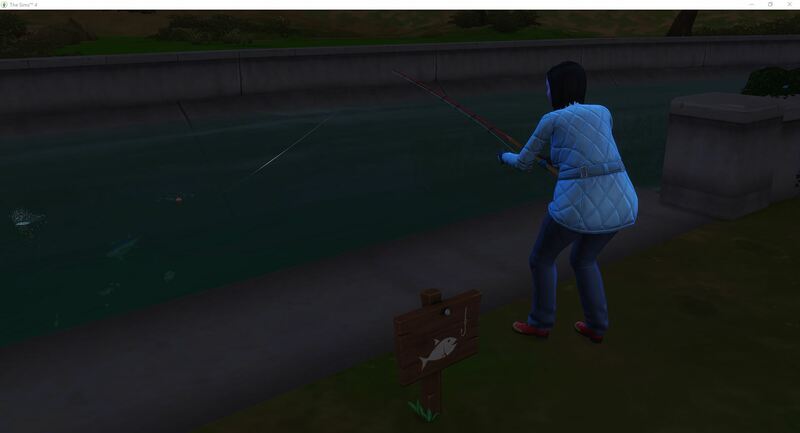 She also completes another tier of the fishing aspiration for the points, collects fish to mount for the walls, and sells the leftover fish for their savings. 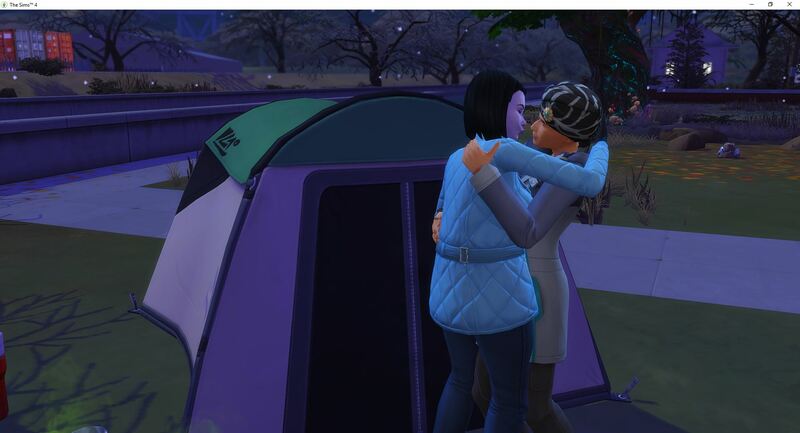 Nolan stays home and does a pretty decent job of taking care of Penny’s needs while Tara is focusing on the fishing. 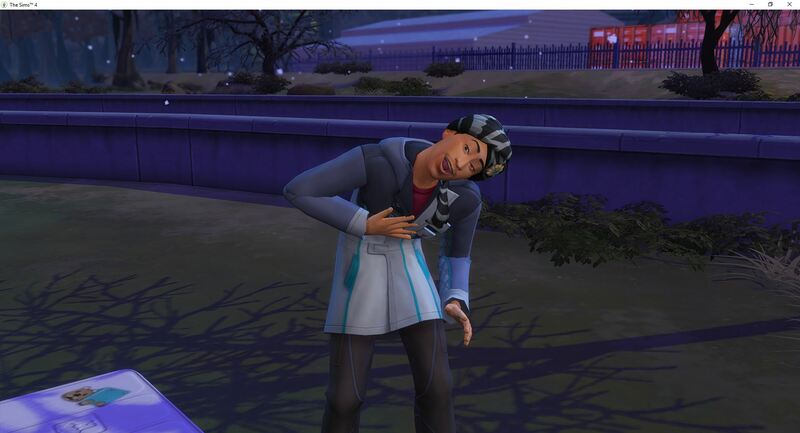 With a last nip at the breast, it is time for Penny to become a toddler. 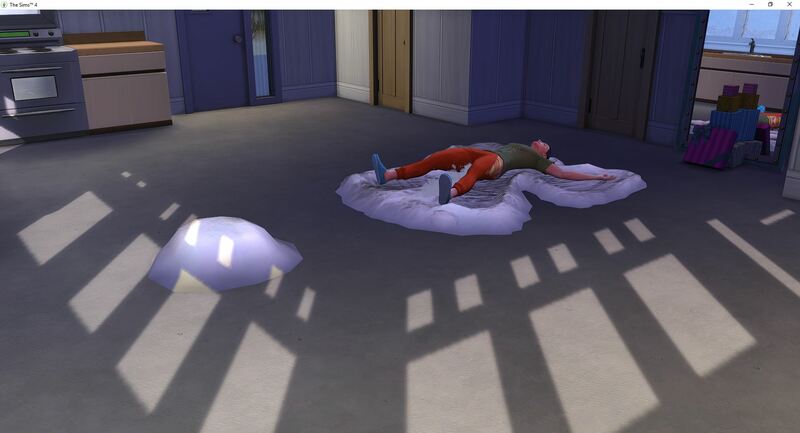 Penny becomes an Angelic toddler. 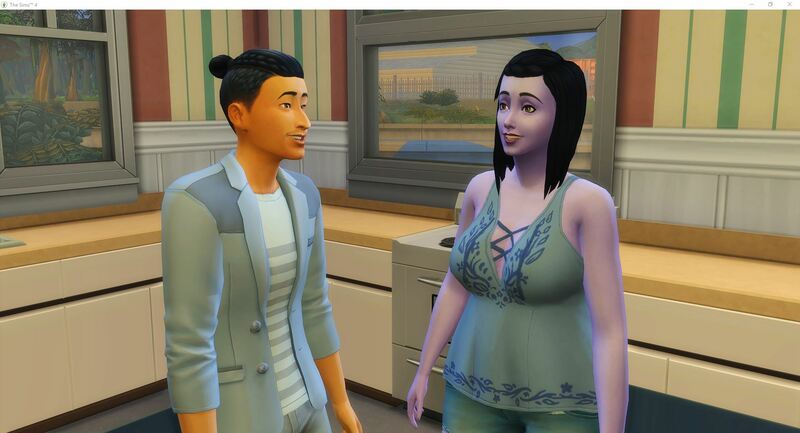 Penny gets a makeover and then heads over to watch TV with Nolan. 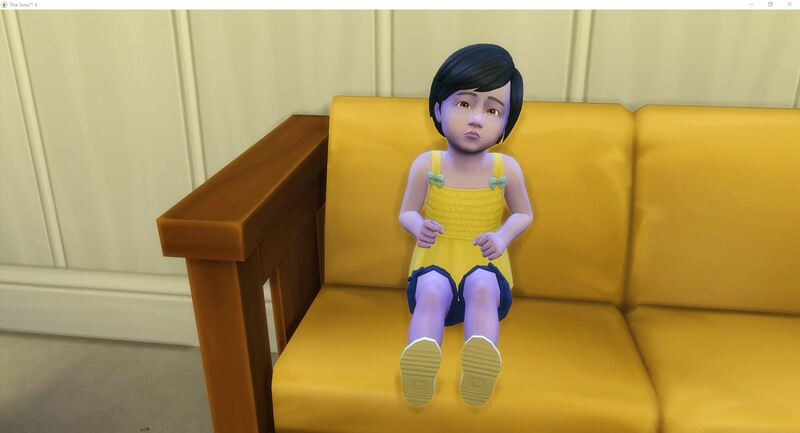 Just as she climbs onto the couch and gets settled, Tara turns off the TV, because it is midnight and someone needs to start potty training in anticipation of their trip to Granite Falls.